Sundiata’s Public Hearing May 28th – Please attend! 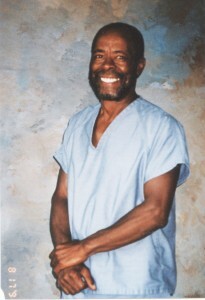 I am writing to share a legal update regarding Sundiata Acoli. Tomorrow morning (on Wednesday, May 28th) his lawyer will present an argument on his behalf in NJ Appellate Court. This is in response to the NJ State parole board’s continued denial of Sundiata’s release after serving 40 years in prison and completing his sentence. The hearing is open to the public for anyone who would like to support and attend. Please feel free to share the info with anyone who might like to come. For those who can’t make it, contributions towards Sundiata’s legal fees are also needed. Funds can be sent by logging into to Paypal.com and sending funds to The Sundiata Acoli Freedom Campaign at the email address: SAFC766@gmail.com. We must plan to be in the courtroom by 10 AM – the argument is scheduled for 10 AM. The court is the appellate division courtroom at the Hughes Justice Complex, 25 Market St, Trenton, NJ. The courtroom is on the 5th floor. You will need to check in through the security gate metal detector and then sign in at the check in desk where you will need a photo ID. You should should say that you are going to the Appellate Division courtroom and they will give you a pass. Please allow at least twenty minutes (if possible, a bit longer) to walk from the parking lot, go through security and check in before the argument time. If travelling by train from NYC, the NJ Transit Midtown Direct train from New York Penn Station to Trenton Train Station is the best route. Taxis are available from there. For more information, email TheSAFC@gmail.com. Please feel free to share this info. If you need any other details please let us know. This entry was posted on Tuesday, May 27th, 2014 at 1:17 pm	and is filed under Written About Sundiata Acoli. You can follow any responses to this entry through the RSS 2.0 feed. Responses are currently closed, but you can trackback from your own site.